Don't just host the party... join it! Memorable dinner parties with family and friends are easy with this Classic Swissmar 8 Person Raclette Grill. Let everyone's culinary creativity shine with this fun and versatile table top appliance! Like the cast iron version, this grill plate is reversible with a grill side and a separate crepe side. 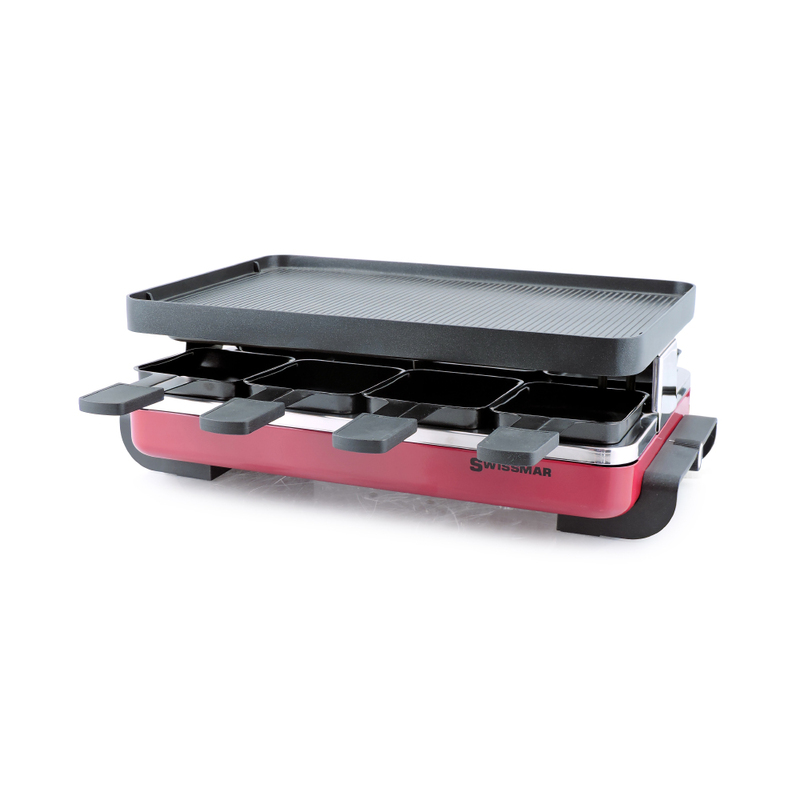 The non-stick coating is perfect for grilling meat, fish and vegetables, but crepes and pancakes also flip with ease. P&I Products can be purchased through one of our resellers or directly though us.